Starlinger’s new automatic twinTAPE 200LX precision cross winders for tapes will make its debut at Interplastica 2013, to be held in Moscow, Russia from January 29 – February 1. The twinTAPE 200LX precision cross winders produce the bobbins needed for trouble-free fabric production with higher efficiency and more output. Since 2011, when the new winder concept was first presented, Starlinger has continuously worked on improving the twinTAPE winder technology. A new feature is the beveled edges of the bobbins produced on twinTAPE winders. This protects the tapes from damage during transport and handling and avoids that tapes get loose and start to come off, an improvement which saves both waste and working time. Undamaged tapes also account for less warp and weft breaks during weaving, which results in fewer machine stops, less work for the operator and less waste. And while fewer tape breaks increase the production efficiency due to less machine downtime, the waste reduction means that more meterage per bobbin is actually used to produce fabric, which helps to save in raw material consumption. The twinTAPE LX operates with cores of 35mm internal diameter and achieves a working speed of up to 600m/min. With the newly developed and patented traverse system the traverse stroke can be set variably, Starlinger says no extra parts are required when the bobbin design is changed. It also allows special bobbin designs and doesn’t require lubrication due to fewer mechanical parts. 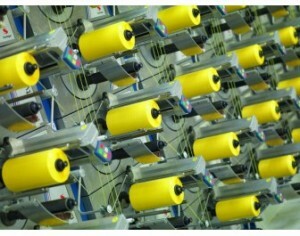 Automatic bobbin change after reaching the predetermined winding length saves manpower and ensures the production of tape bobbins with equal running length. The new graphical human-machine-interface facilitates intuitive navigation and allows the saving of individual tape parameters in the recipes store. The Starlinger divisions recycling technology and viscotec will also present their range of solutions for plastics recycling and refining at Interplastica. These systems are suitable for processing a wide range of plastics such as PE, PP, PA, PS, BOPP and food contact PET, while viscotec provides equipment for IV increase and decontamination of post-consumer recycled PET flakes and pellets and HDPE flakes.